In a competitive environment, the business best equipped for fast response is the business equipped for success. The E-STUDIO 810 was designed with this environment in mind and provides high quality imaging and high volume copy runs at the impressive speed of 80 cpm. 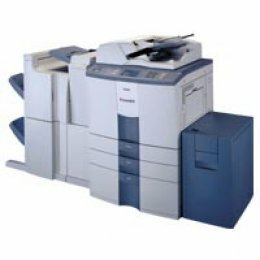 Additionally it achieves 2,400 x 600 dpi resolution and handles specialized requirements with advanced paper handling features and network printing options. In short, the Toshiba E-STUDIO 810 is a driving force, giving your business a speed advantage to help you stay out in front.